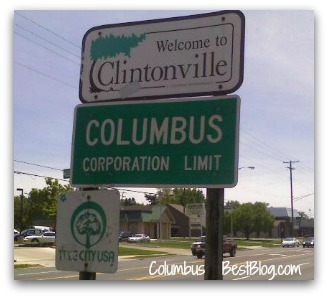 Clintonville, Ohio America’s Coolest Small Town? Clintonville, Ohio is America’s Coolest Small Town? Clintonville is a neighborhood. Linda (who nominated Clintonville) knows that Clintonville is a neighborhood. In the comments (someone who is not delusional?) says the Clintonville neighborhood has more population than the limit in the poll. I did not check out what the Budget Travel criteria was. What makes a Coolest Small Town? The town must have a population under 10,000. It also needs that indescribable something: independent shops, a sense of energy, an epic backyard, culture, delicious coffee. In other words, cool doesn’t necessarily mean quaint: We want towns with an edge and a heart. You don’t have to travel far from Columbus to find towns with an edge and a heart… And Clintonville has an edge and a heart, delicious coffee… Clintonville is a cool neighborhood. Next post: Willkommen to Columbus this Weekend!